← Covering the High-profile Art Auctions — art or science? 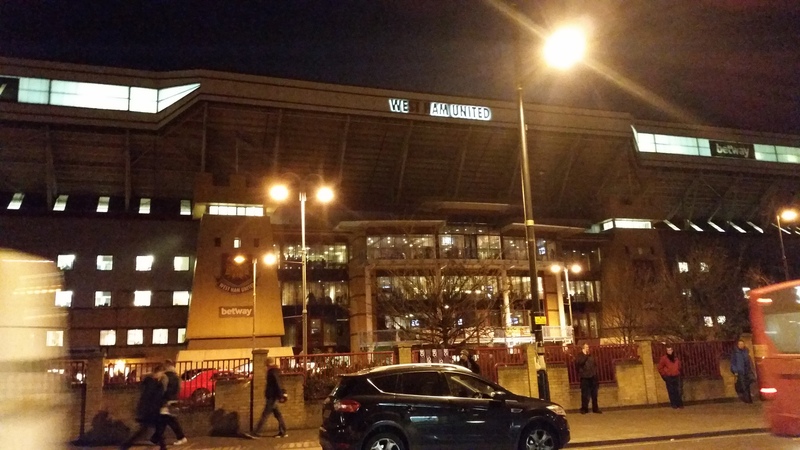 West Ham Vs Chelsea… Opportunity to test out a new anti-thuggery app! Yesterday I went to Upton Park, West Ham’s fabled grounds opened in 1904 and soon to be cast aside for the Olympic Stadium. I expected something akin to Fenway Park, Boston’s antique and incredibly charming baseball stadium, the smallest in the Major Leagues. It was charming, but not in a Fenway Park way. More in a rundown left to rot kind of way. Furthermore, I expected a frantic ambiance, with fans chanting for 90 mins straight as a backdrop to the scent of fan violence that could break out at any moment. Out of sheer coincidence. just that day my article for CNN was published about a new mobile phone app created by Kick It Out. It encourages fans to report abuse by other fans; a kind of virtual vigilante application. The recent culprits named in the article happened to be both West Ham and Chelsea supporters! But enough about films! The game itself was end to end stuff, very exciting. Too bad West Ham can’t score to save their lives, otherwise Chelsea would have left the park as losers. Instead, the Hammers gave up a goal early and missed a ton of chances. 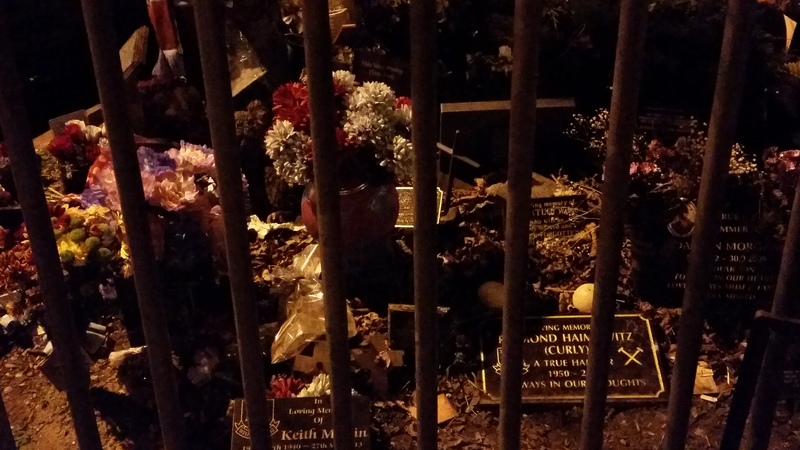 A small burial site just outside the stadium (by the car park?!) for Hammers die-hards, no pun intended. 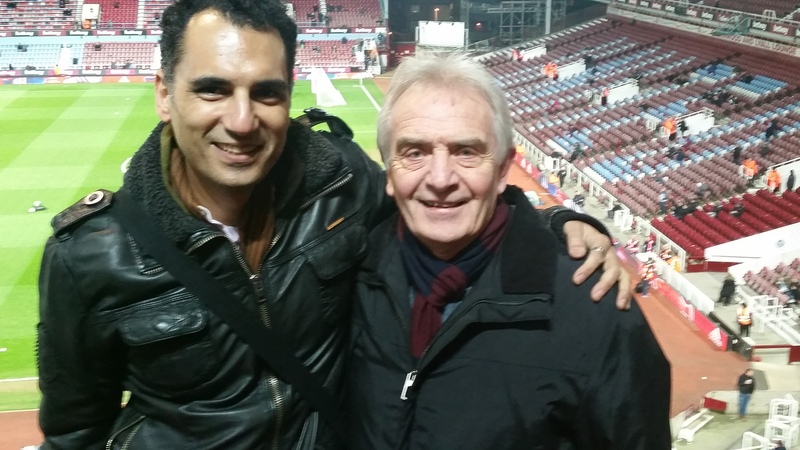 With the legendary Dave Dove, a Hammers fan who’s been attending Upton Park since 1958!! We left in a very orderly fashion, waited for about 25 minutes on a very long line snaking around Upton Park tube station, and went home without incident. Alas, the app was never used. The CNN story can be found on this link.